If it is good, make it better. When it is better, make it the best. That commitment to continuous improvement underpins everything we do at Coate Water Care, a philosophy that’s currently on show at Mockley Manor Care and Nursing Home as we invest £3 million in a major renovation and new care units. Mockley Manor is set in beautiful, well-maintained grounds in the heart of the Warwickshire countryside. It is a privileged location that will soon be mirrored by a premium makeover increasing the home’s capacity from 46 to 63 bedrooms, including a range of spacious 20 square metre suites (compared to the industry standard 12 square metres) with direct access to the home’s lovely gardens. Each room will be newly equipped with infrared technology that transmits a signal if a person falls over, a factor that provides real peace of mind for residents’ loved ones. Phase two of the development will see existing parts of the home renovated with a new reception, coffee shop, hairdressers and laundry service, all boasting luxury hotel standard interiors and furnishings. 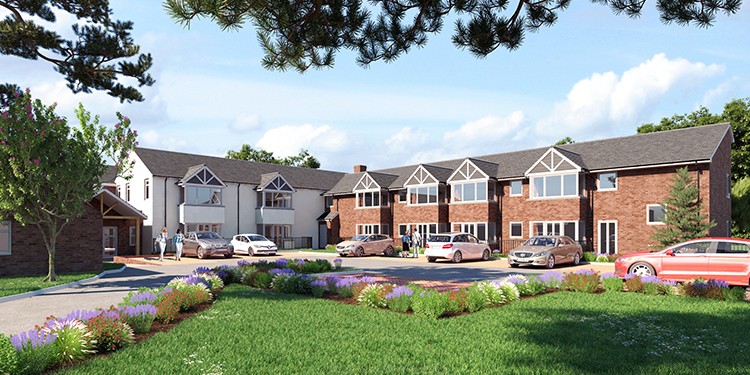 “Mockley Manor is already a home that has received five good CQC ratings which reflects the high level of care residents receive from the long-serving manager and her dedicated care team,” says Jamie Smith, Coate Water Care’s Projects and Development Director. Mockley Manor specialist Dementia and Nursing Unit is equipped with all the latest specialist technology, and now as part of the renovation Coate Water Care are trialling new person-centred software that will then be rolled out across all our seven homes. The new software has an easy-to-use interface which allows carers to input data on residents in real time. This enables families of residents to view reports via an app to ensure their loved ones are getting adequate care provision. It also helps with reporting to CQC and streamlines internal processes, freeing up approximately an hour per day for care provision per patient. “This type of mobile care monitoring reduces paperwork and gives carers more time to care, improving care quality and the care cycle overall,” says Jamie Smith. 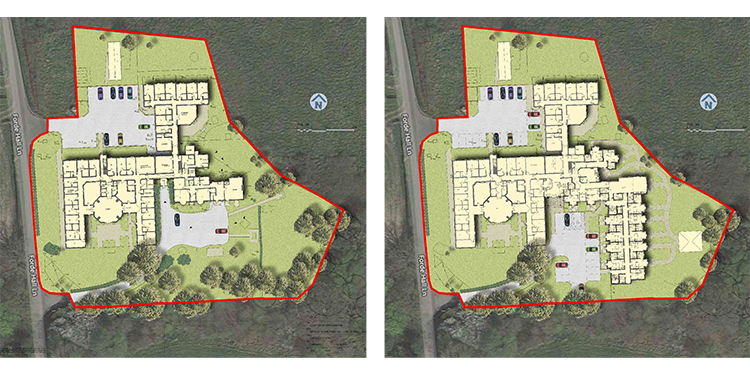 The new build and phase two of the renovations at Mockley Manor are due to be completed in August, but for regular updates visit our website for bi-monthly, time-lapse imagery of the development in progress.